Volunteers earn credential for Teaching English as a Foreign Language (TEFL) during Peace Corps service. TEFL Volunteers at three pilot posts began their training in 2014 with online courses, and in the two years since then, have participated in teacher training at their posts, taught English classes with host country partners, shared experiences with other Volunteers in communities of practice, honed their classroom skills, and much more. This three-part series on the Peace Corps TEFL Certificate Program highlights the stories of four Volunteers: Hannah in Armenia, Gabrielle in Madagascar, and Emily and Andrew in Nicaragua. They are among the first Volunteers to earn the TEFL Certificate at the end of their service in the spring of 2016. Hannah, a TEFL Volunteer in Armenia, co-teaches English classes with a counterpart to third through 12th graders at a typical village school of about 200 students, with classes that range from four to 25 students each. Gabrielle, a TEFL Volunteer in Madagascar, teaches secondary English classes with a counterpart at a school that was founded three years ago. The school’s approach is unique within the developing world in that it encourages teachers to invest in their student’s lives outside of school. 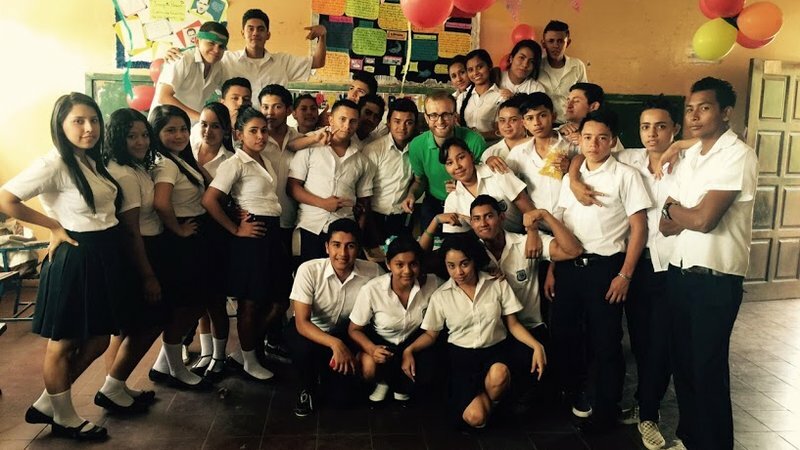 Andrew and Emily, TEFL Volunteers in Nicaragua, co-teach English classes with their counterparts to 7th through 11th graders. The TEFL Certificate Program, an innovative and first-of-its-kind program at the Peace Corps, was developed in response to our host country partners’ need for certified English teachers. The program provides rigorous, supervised teacher training and the opportunity for Volunteers to earn a professional teaching credential upon successful completion. Additional posts including Thailand, Ecuador, Costa Rica, Benin, and Rwanda are entering the TEFL Certificate Program in 2016. For more information regarding the TEFL Certificate program, click here.